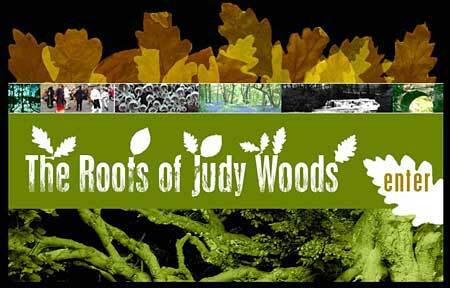 'The Roots of Judy Woods' CD-ROM Sold out! As part of our funding application we said we would make copies available free of charge to all our members. This was a rather rash promise, as in the time since the bid, our membership has risen fourfold. All our free copies have now gone, but new stock can be obtained from Friends of Judy Woods, see 'Merchandise'. CD’s for public use have also been sent to local libraries at Wyke, Wibsey, Bradford Central, Brighouse, Cleckheaton and Halifax Central. These libraries also have a paper copy of the archaeological report. The CD has sections on history, covering people, places and events: photographs and maps old and new: things to do and make in the education section: full details of all the surveys carried out along with links to web pages and much more. We hope you will enjoy using the CD and that it will encourage you to become involved in the work of the Friends. Copies of the 'The Roots of Judy Woods Education Pack', together with a CD-rom, went out to schools near the woods. If your school would like a copy of the Education Pack please go to our Downloads page. 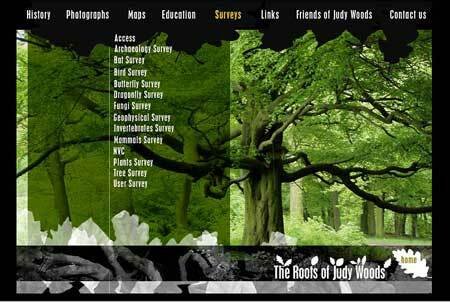 The Roots of Judy Woods CD-Rom is for computer usage, and it's well designed menus are accessed via your web browser interface, such as Internet Explorer, Mozilla Firefox or any of many others. No installation is needed! It is NOT for use on a DVD player! Part of the hoard of coins found in Judy Woods. Full details on the CD - see under Civil War. 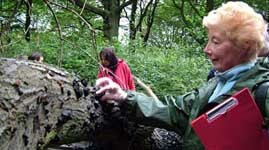 The Archaeological Surveys of Judy Woods - included in CD!